The North Carr light ship was built by A & J Inglis Ltd, Pointhouse Shipyard, Glasgow in 1932,she is 101ft in length and 25ft in breadth and 250 tons in weight. 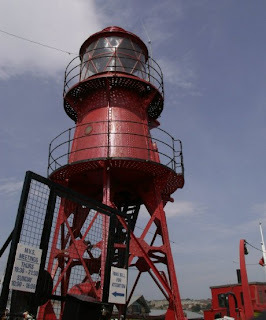 Built in steel and iron, steel above the waterline and iron below as it was harder for seaweed and molluscs to stick to. The purpose of the vessel was to warn mariners of the dangers of the North Carr rocks which are situated I.7 miles off Fife Ness at the turning point for vessels entering the Forth from the North and bound for the Tay. 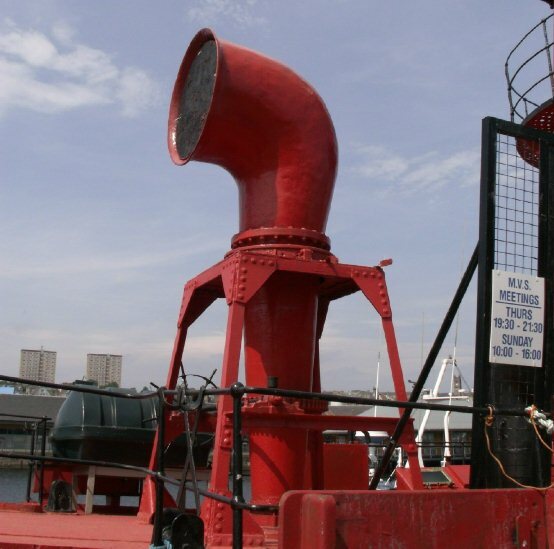 She created quite a stir in Edinburgh on account of her fog horn being tested while lying at ¾ mile outside Granton in the Firth of Forth. As the fog horn had a range of approximately 10 miles, north Edinburgh could hear it loud and clear and the complaints to the Office, Newspapers and Police were numerous - particularly as it was being sounded in clear weather. "Hundreds of city dwellers have had no sleep over three consecutive nights"; "The most flagrant individual breach of the peace is as nothing compared with the ceaseless boom and consequent suffering of the past three nights"; "Firth of Forth torment"; "An Edinburgh grievance which has left rankling memories in the selection of Granton for the fog horn test" were typical of statements made and written at the time. She was also involved in one of the country’s worst lifeboat disasters. In December 1959 the East coast of Scotland was experiencing one of the worst storms in recorded history. Given its location the North Carr was particularly vulnerable. According to the report of G Rosie the Senior Master on board at the time ".... at 02.02 am on Tuesday 8th December whilst riding out a gale of Southeast wind and very heavy sea the anchor cable parted". As a result the North Carr began to drift. At 2.20am the Fifeness Coastguard noticed North Carr moving off station. The nearest lifeboat stationed at Anstruther, was alerted but was not given permission to launch and this was the same for the lifeboats at Dunbar and Arbroath. At 2.50am the crew of the North Carr managed to deploy the port emergency anchor and bring the vessel to a halt, but their situation remained perilous. At about the same time the Broughty Ferry Life boat the Mona was given Permission to launch in order to come to the aid of the North Carr. The Mona launched at 03.13 for the 30th time. At 03.36 the Fifeness Coastguard made radio contact with the Mona. 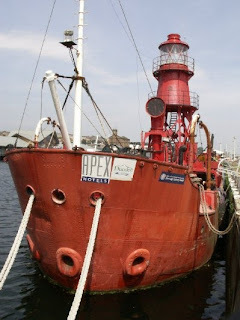 At 04.06 in a radio exchange wit Fifeness Coastguard the Mona gave her position as being abreast of the Abertay Light ship. At 04.48 Carnoustie Coastguard radioed the Mona to ask if she had seen the latest flare launched by the crew of the North Carr. The Mona replied that they had seen the flare and stated "we have reached the bar". The Mona was not heard from again. The vessel was found on the morning of 9th December washed up on Buddon Sands near Carnoustie with 8 crew still inside. The body of the 9th crew member was never found. Attempts to rescue the crew of the North Carr continued and they were eventually evacuated by the Royal Air Force in the early afternoon of the Wednesday the 9th of December . After the crew had cut down North Carr's mast a Bristol Sycamore Helicopter from RAF Leuchars was able to wince each crew member off the North Carr from the top of the watch box. In his report Mr. Rosie stated " I wish to recommend my crew on their behaviour in the face of all this danger, they never showed any sign of panic and carried out every order promptly and efficiently". Mr. Rosie himself was later awarded an MBE in recognition of his distinguished service as Master of the North Carr. On December 11th in improving weather conditions a crew was able to get aboard the North Carr and supervise her towing to the dockyards at Leith. After repairs the North Carr was put back on station on March 16th 1960.